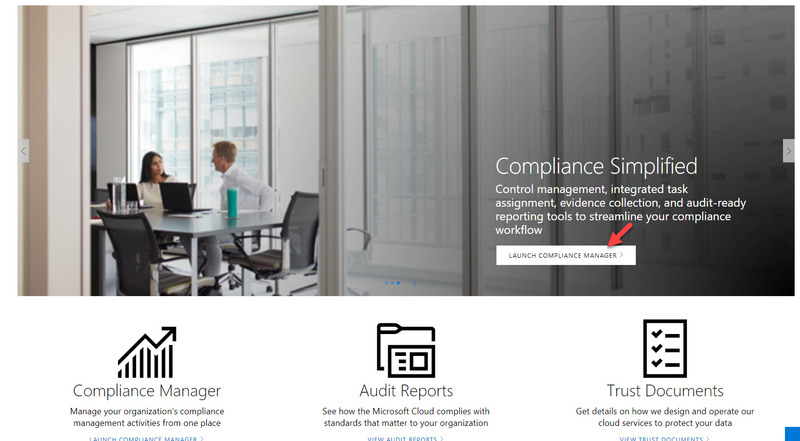 Microsoft Compliance Manager makes it easy to deal with compliance challenges! If you are living in Europe, you may aware how GDPR (General Data Protection Regulation) is storming through IT world. Service providers, Vendors and pretty much every business who deals with digital data are looking or making plans to face GDPR which is going to enforce from 25 May 2018. Some already compliance and some are still struggling to figure it out. It’s a time people talk about compliances more than ever. Compliances are always painful to deals with. Its involves knowledge, experience, skills, people, time, roles and responsibilities, services and many more. More importantly need to evaluate how these compliances, laws are matching with each business model. There is no single button or shortcuts to make organizations to comply with these compliances which comes time to time. These compliances are also changes based on industry trends or needs. Even your organization comply with certain compliances today, it may not in 6 months’ time. so, continues awareness and skills are also required to maintain the compliance status. For an organization, it’s not one-man job either. Different roles will have different responsibilities to make it possible. Some compliances are just “good to have” type. but some compliances are must for certain business to operate and some compliance are backed by law, so that types leave no choice. Complexity – when new regulations and compliances are enforced, lack of information, complexity, lack of experience and skills make it difficult for organizations to adopt it in short period of time. This rush and uncertainty can make organizations to make vulnerable moves which can lead in to bigger problems. Compatibility with other compliances – Sometime businesses may comply with multiple compliances. So, things you do to comply with one compliance can affect to compliances you already comply with. It is hard to keep track of each and individual actions and measure its impact. Commitment – As I explain before, it is not one-man job, different parties, different roles need to make relevant commitment to achieve compliance targets. Organizations always finds it difficult to measure commitments or evaluate task progress throughout the implementation process. Tools and methods – As everyone agrees there are no shortcuts to comply with compliances. It is not like installing a software or enabling a service. Organizations needs to go through relevant rules and see how its apply with its infrastructure, business models. But it is not always practical to do all these manually. As an example, GDPR has more than 100 rules. If we not use tools or other methods to see how its apply to existing infrastructure, it can be time consuming, complex process. There are existing tools which gives your reports based on the information you provide but so far, I am not aware of a tool which do real time analysis of infrastructure and reports back about compliances status. 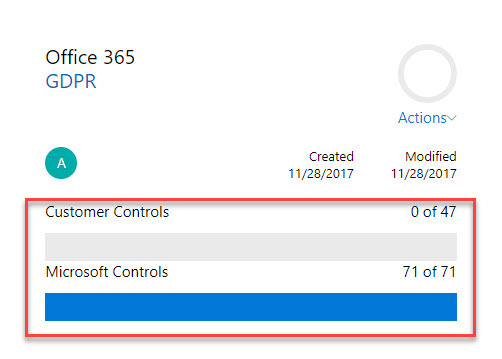 On Last Ignite event Microsoft introduced Compliance Manager tool which simplifies the compliance adoption process for organization. As a service provider Microsoft also have role to play to make its cloud products comply with these compliances. So, Microsoft creates a service where it explains how it’s done its task and give insight to customers to do their bit in form of tasks. Each of these tasks include detail explanation. Each of these tasks can assign to a user and measure its progress real-time. This service is available for Azure and Office 365 customers. 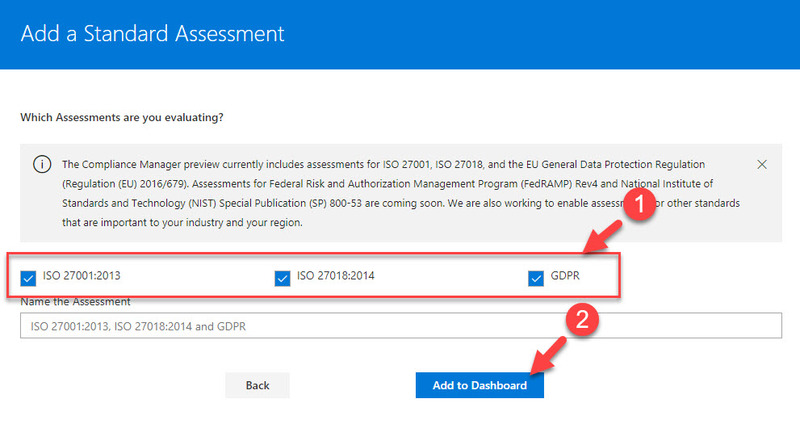 This is not only covering GDPR, it also covers other compliance such as ISO 27001:2013, ISO 27018:2014. This is currently on preview and it will generally available in 2018. In next page, it will ask about the subscription. If you have valid subscription already you can use “Sign In” option. After successful authentication, it will load the Dashboard for the compliance manager. Each tile represent compliance. Using “Add Assessment” button we can add new compliances to the list. To do it first click on Add Assessment option. Each of the tile have two sections. One is to list down the controls Microsoft comply with and one is to list down controls customer comply with. In order to see these in details click on the assessment name on the tile. Then it lists down the section for each control. As an example, if I expand one of task related to Microsoft, it explains what is it and what Microsoft did to implement it and who assessed it. Now if I do the same for customer controls I can see similar details. But most of it need to be fill by customer. It provides detail description of the assessment. If go to customer actions it gives some insights what customer need to do to pass the assessment. It also has two sections where we can add notes about implementation, test plan and management response. Using Test Date option we can define the data for assessment. Using Test Result drop down we can select the assessment status. Using Manage Documents option we can upload relevant documents for the task. 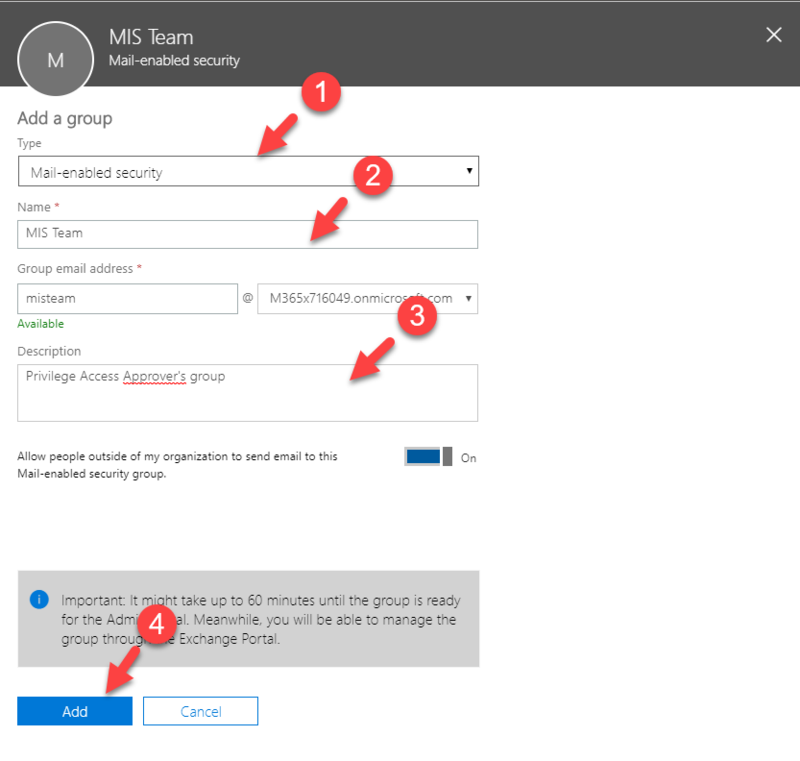 More importantly using Assign button task can assign to another user in the organization. In my demo, I am assigning it to user Agnes Schleich with high priority. Email notification for this is not working yet, but in future once task been assign, it will send email notification to user. 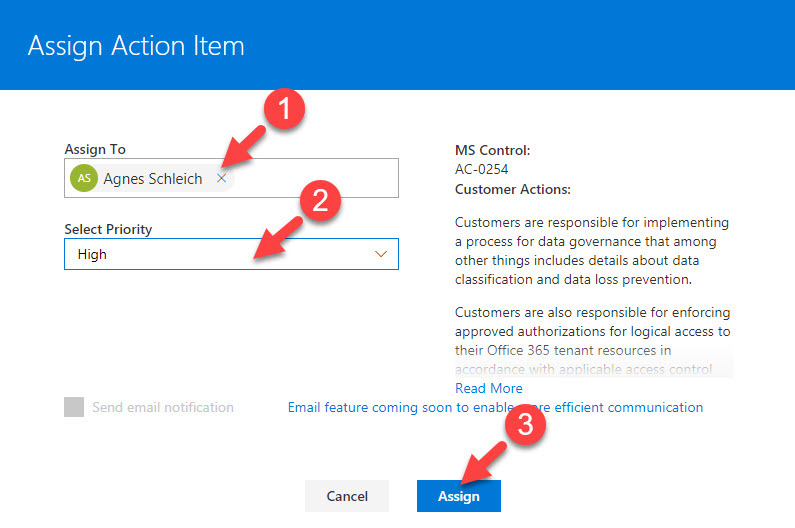 Now when I login as user Agnes Schleich to compliance manager, I can see the assigned task under action items. Cool, isn’t it? 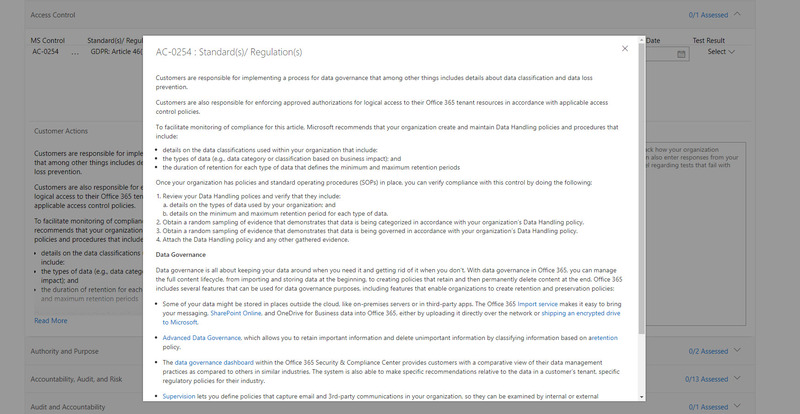 Microsoft promised to add more and more assessment in coming months to make life easier with compliances. Once you done evaluation, do not forget to provide feedback using Feedback button. 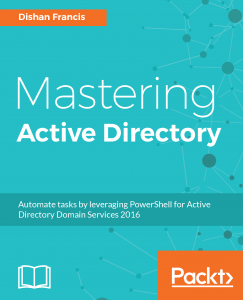 Azure active directory is responsible for providing identity service for Microsoft online service’s needs. 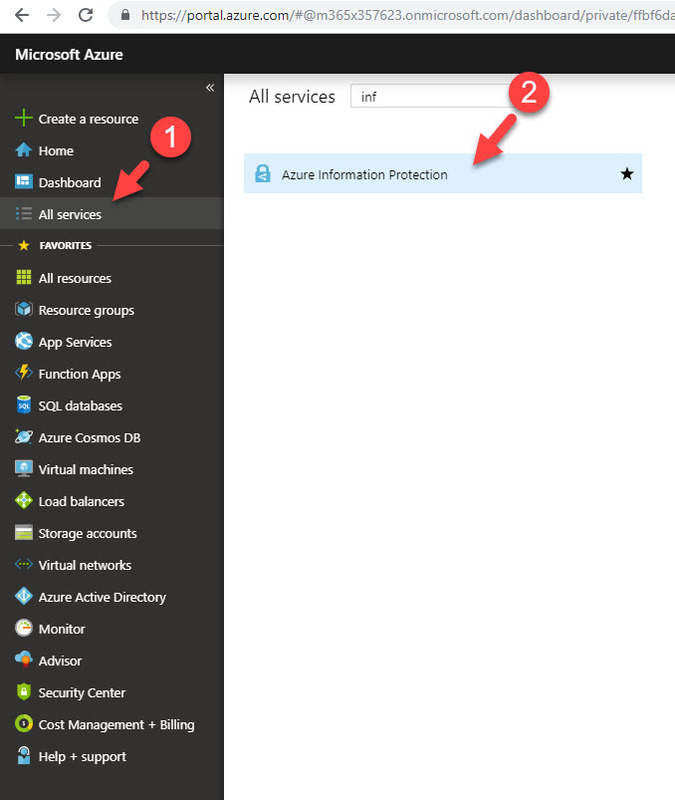 When I talk to people about azure AD one of most common problem they ask is what version I should buy? my existing subscription will work for the features I looking for? The myth is, lot of people still thinks azure subscriptions and prices are complicated, but if you understand what each subscription can do it’s not that hard. 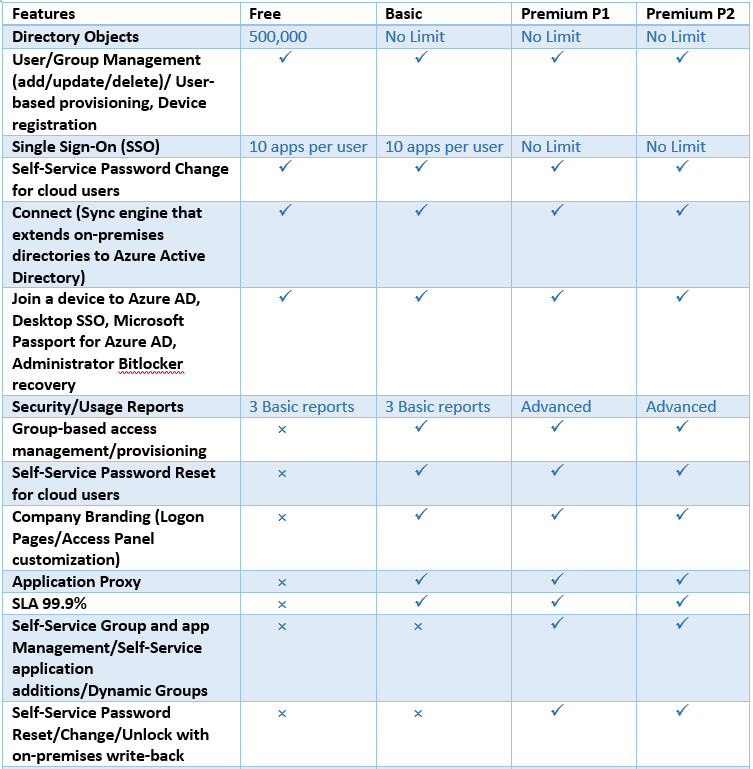 I have seen people paying for Azure AD premium version when azure AD free version can give the features they needed for their environment and some people struggling to implement features only available for premium version using their free azure AD instance. 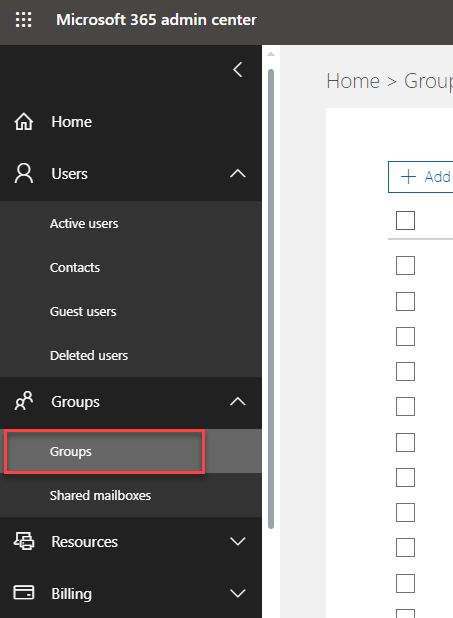 In this blog post I am going to list down the features for each azure AD version and hope it will help you to decide the version you need for your setup. Free – if you subscribed to any Microsoft online service such as azure or office 365 you will get the free azure AD version. You do not need to pay for this. But it got limited features which I will explain later in this post. Basic – Designed for task workers with cloud-first needs, this edition provides cloud centric application access and self-service identity management solutions. With the Basic edition of Azure Active Directory, you get productivity enhancing and cost reducing features like group-based access management, self-service password reset for cloud applications, and Azure Active Directory Application Proxy (to publish on-premises web applications using Azure Active Directory), all backed by an enterprise-level SLA of 99.9 percent uptime. 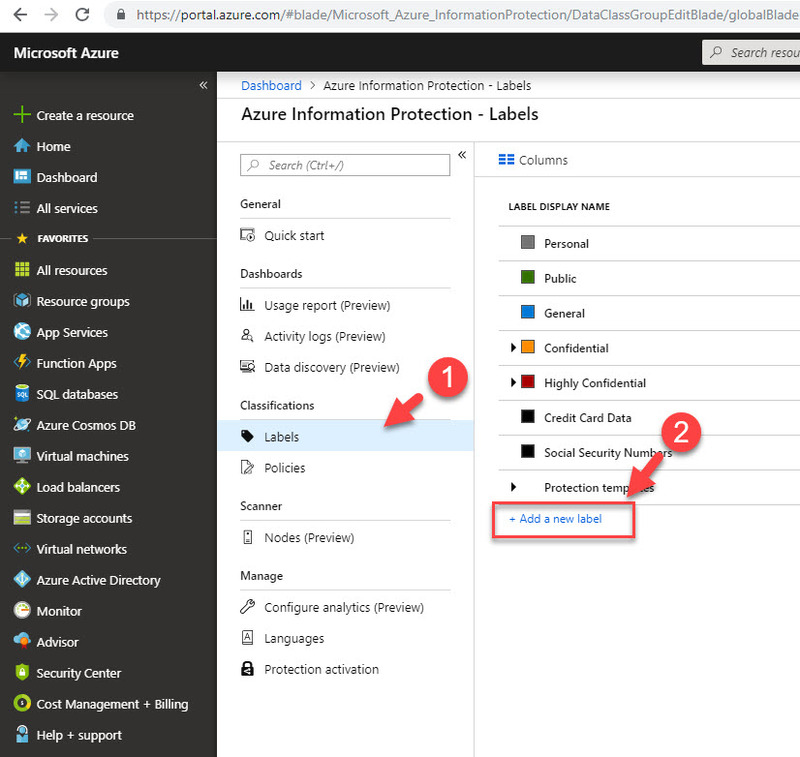 Premium P1 – Designed to empower organizations with more demanding identity and access management needs, Azure Active Directory Premium edition adds feature-rich enterprise-level identity management capabilities and enables hybrid users to seamlessly access on-premises and cloud capabilities. This edition includes everything you need for information worker and identity administrators in hybrid environments across application access, self-service identity and access management (IAM), identity protection and security in the cloud. It supports advanced administration and delegation resources like dynamic groups and self-service group management. It includes Microsoft Identity Manager (an on-premises identity and access management suite) and provides cloud write-back capabilities enabling solutions like self-service password reset for your on-premises users. 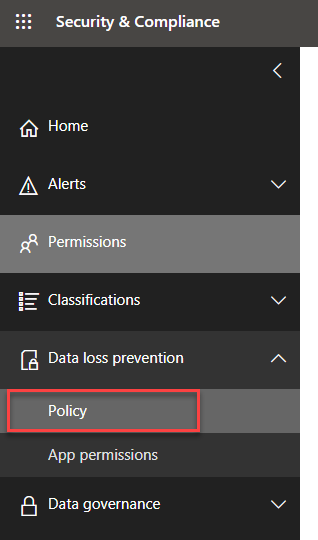 Premium P2 – Designed with advanced protection for all your users and administrators, this new offering includes all the capabilities in Azure AD Premium P1 as well as our new Identity Protection and Privileged Identity Management. 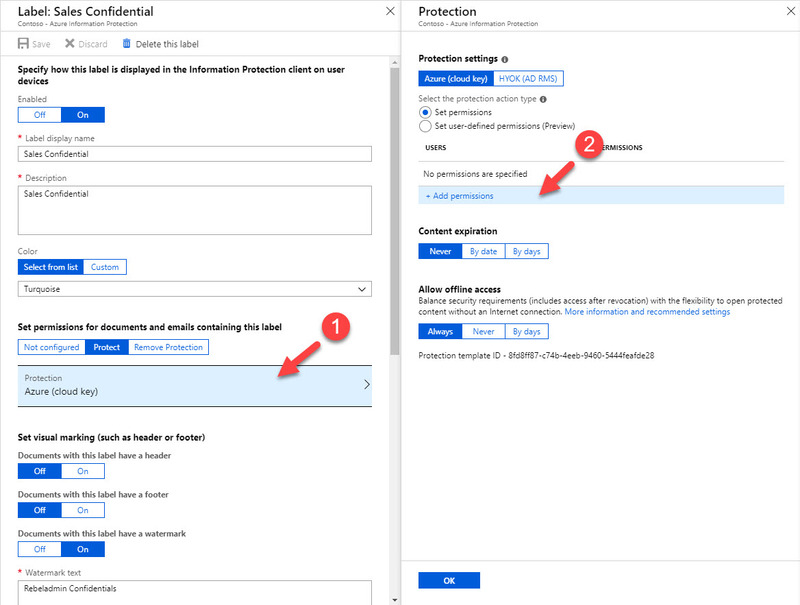 Azure Active Directory Identity Protection leverages billions of signals to provide risk-based conditional access to your applications and critical company data. We also help you manage and protect privileged accounts with Azure Active Directory Privileged Identity Management so you can discover, restrict and monitor administrators and their access to resources and provide just-in-time access when needed. Recently I was working on a project for a customer and I thought to share the problem and solution so in future it will help my blog readers. My client has an on-premises Microsoft exchange 2013. Recently they are acquiring a company. 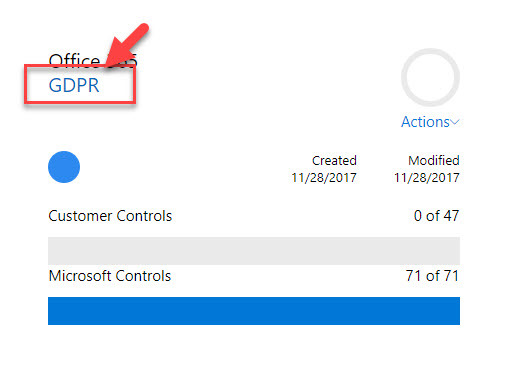 This company is using Office 365. The both companies like to see calendar free/busy information when they schedules meetings etc. Exchange 2013 offers a feature called “federation trust”. Federation trust will create trust relationship between on-premises exchange server and Azure active directory authentication system. 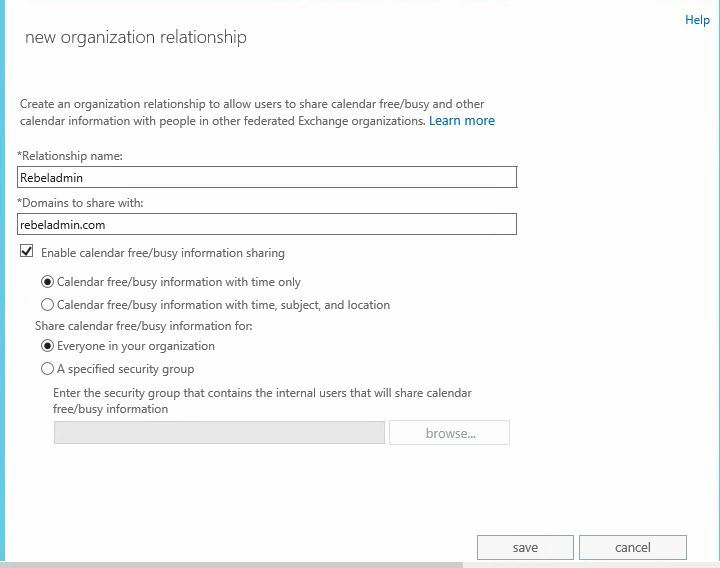 Then it can use to create federated sharing with other federated organizations to share calendar free/busy information. 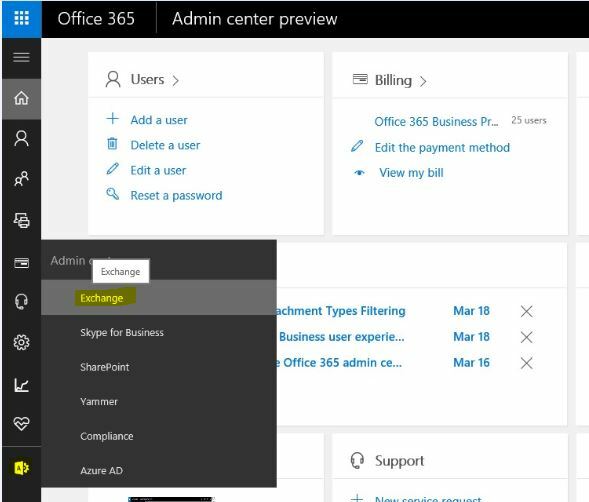 The same method can use to create federated sharing between on-premises exchange server and office 365. 4) Auto discovery should be fully functioning with on-premises exchange setup. 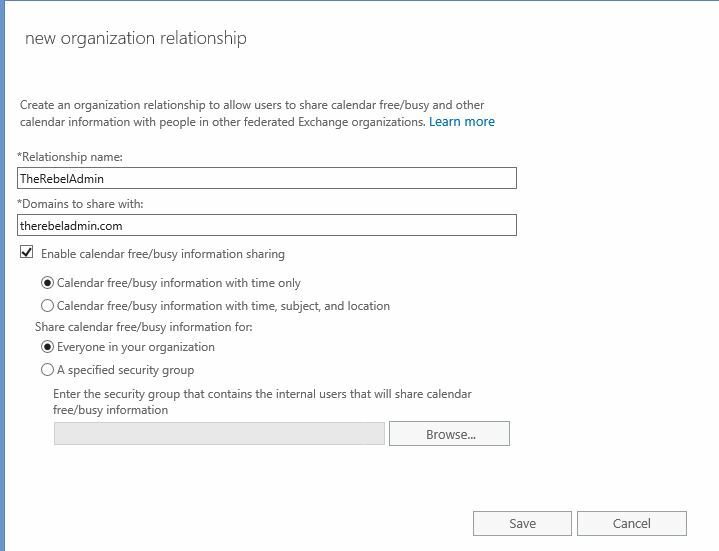 If you got problem with it need to fix before start this configuration as you will end up with one way calendar free/busy info sharing. 3) Then click on enable (if you not using any federation trusts already) and start the federation trust wizard. It is straight forward setup and once wizard completes click on close. 8) Once it’s done it will looks like following. It creates unique federation trust namespace and will register with Azure AD authentication system. 9) If you got additional domains, click on + mark to add. Once done click on update and exit from the window. 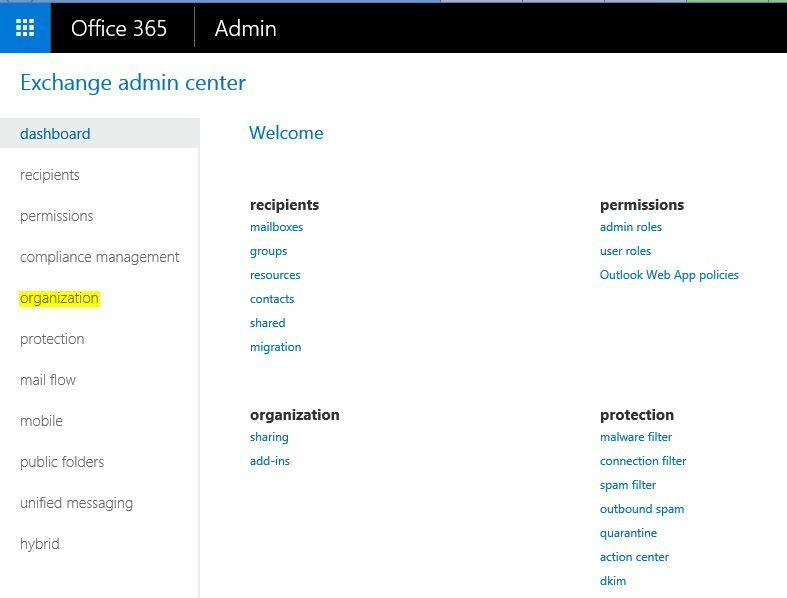 11) In new window, fill the info about the office 365 domain and set the sharing permissions as you desired. But I highly recommend to use same permissions in both ends to avoid issues. Of policies mismatch it may work on one-way only. Once changes are done click on save. 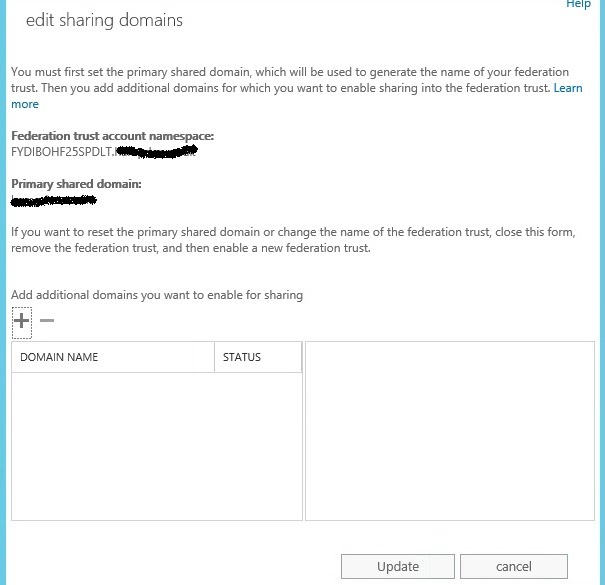 12) That’s it, it completes the federation trust setup on on-premises exchange 2013 end. 4) In new window add the info about on-premises domain and also set sharing permissions, once done click on save. Now it’s all done, it’s time for testing. But I have notice sometime you need to restart IIS on on-premises exchange 2013 CAS to get this working.